The final option, and probably the best long term solution, for making GIMP work better on OS X is actually being integrated directly into the application by the developers. 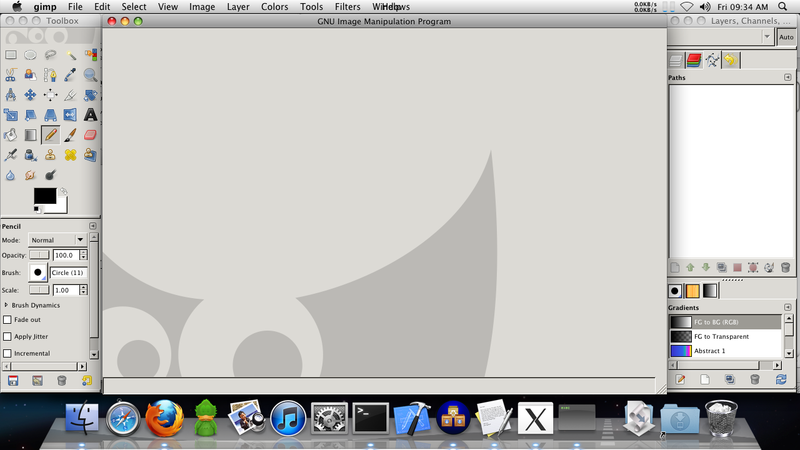 In the current development build of GIMP there is an option to make exist inside one single window. With one window the issues currently plagued by the GUI implementation for OS X should go away. The Toolbox and Layers window should be easily accessible without the currently required workarounds. 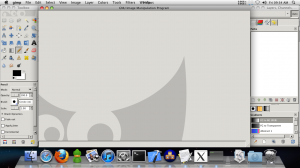 Again, there is no precompiled, ready to use package of GIMP 2.7 for Mac. The software will have to be compiled using MacPorts using the steps below. GIMP 2.7 coupled with being compiled to use Quartz instead of X11 would be a very combination. Sure it won’t unseat Photoshop as the king of photo manipulation applications, but would give Mac users, like myself, a free alternative. 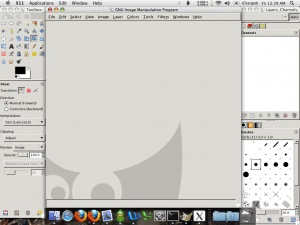 Arstechnica has a good article discussing the new single window interface available for GIMP as well as screenshots http://arstechnica.com/open-source/reviews/2010/02/hands-on-new-single-window-mode-makes-gimp-less-gimpy.ars. *Note: I have been able to compile GIMP 2.7 on my PowerMac G4, but not start the. I am plagued with a “segmentation fault” error message. While buildng GIMP 2.7 I also ran into an issue with compiling the support program ATLAS. The problem was caused by the fact my PowerMac G4 has an aftermarket processor and sometimes is mis-identified by applications. When ATLAS tried to configure the following error message was the result. With the processor I have, the GigaDesigns PowerPC 7447 dual 1.8GHz CPU, there is no option to turn off CPU throttling. I doubt there is even a way to enable it. So instead I had to force ATLAS to ignore the error message, go ahead, and compile. This was the first time I ever had to do a custom build of MacPorts package. Here is what I did. 8. Compile GIMP again. It will pickup where the error occurred. Pretty nice Overview. Managed to install 2.7, will try it now. X11 hack for 2.6 is great. Thanks man. Hey, thanks for this. 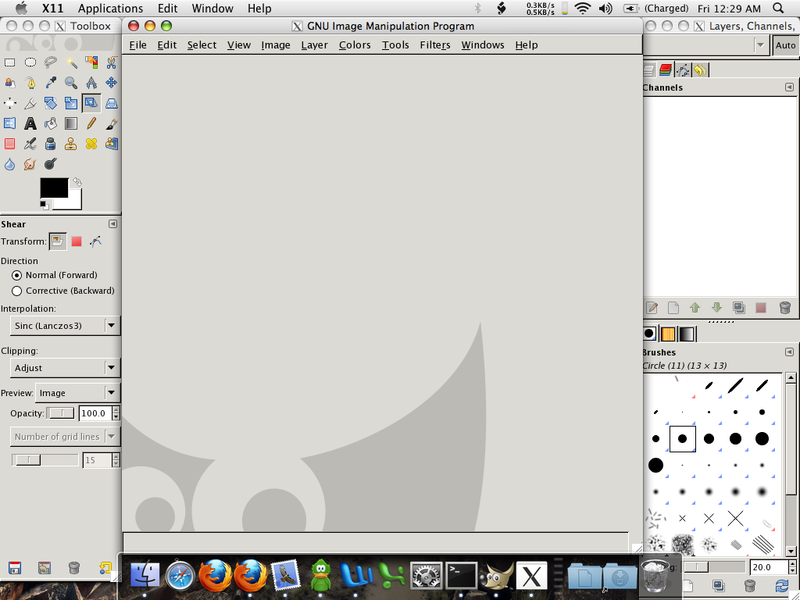 I really love GIMP, but when I moved from Windows to Mac, I hated having to use X11 to run the program in OSX. Wish that the official website for GIMP made it more immediately obvious that this can be run with Quartz, instead of just listing MacPorts as an alternate installation method :P. You are awesome! Currently setting up MacPorts as I type this. Yayyy~~! I’m glad you found my information useful. I just got a new MacBook Pro and haven’t tried compiling the Quartz variant of GIMP on it yet. In the future I may look at trying to get 2.7 to run on Intel. If that works then building 2.7 with Quartz rendering would be my ideal setup.